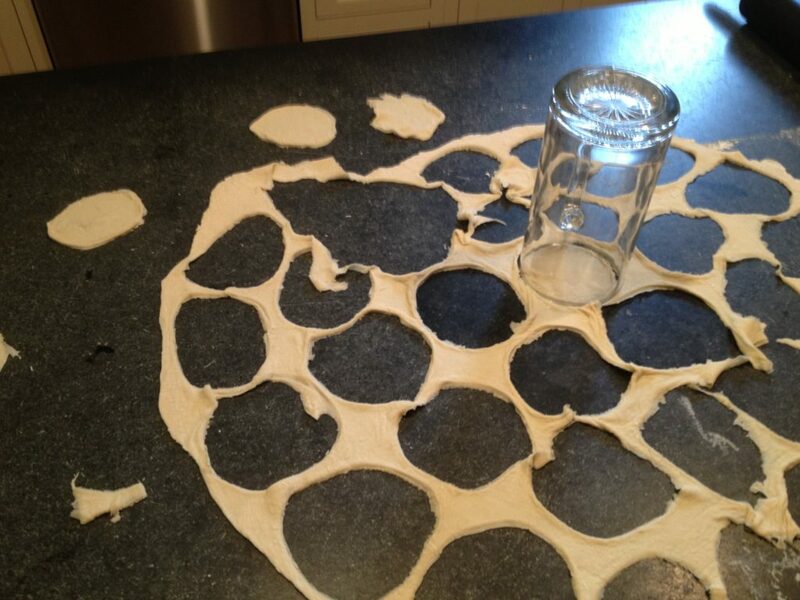 Today, I tried my hand at making Buñuelos. I think it went well (they are edible). I think it is appropriate because the Spanish exchange program began at my school, and the students just came. What do Spanish exchange students and buñuelos have in common? They are both from Spain! Buñuelos come from all over. They are made in many different Latin American cultures including the Dominican Republic, Colombia, and even by some Sephardic Jews during Hannukah. The Dutch and Italians also make their own versions as well. 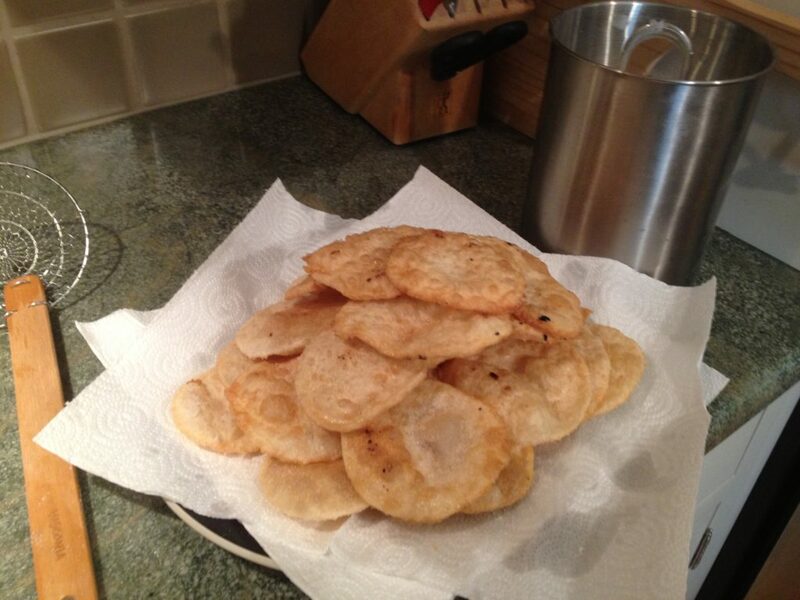 I made the Mexican variety, which are flat and look more like sopaipillas. I actually may have made sopaipillas by accident. 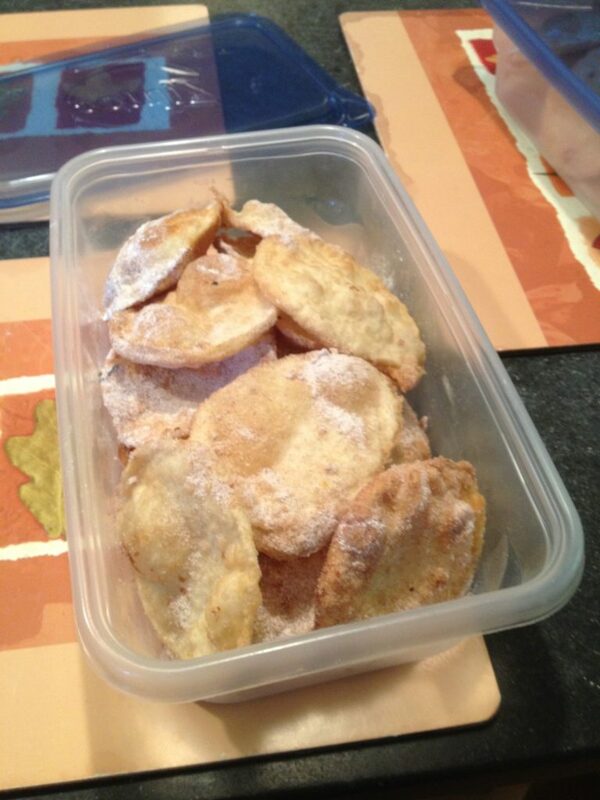 Either way, they are fried dough powdered in sugar. Using canola oil, I fried up these suckers and then powdered them with cinnamon and sugar. ¡Qué rico! I also got to use this new cooking strainer, which worked great I think! True buñuelos usually consist of wheat-based yeast dough, anise (which I didn’t add) and are seasoned with any number of condiments like cinnamon, sugar, honey, and even jelly. They come in two forms: balls or disks. 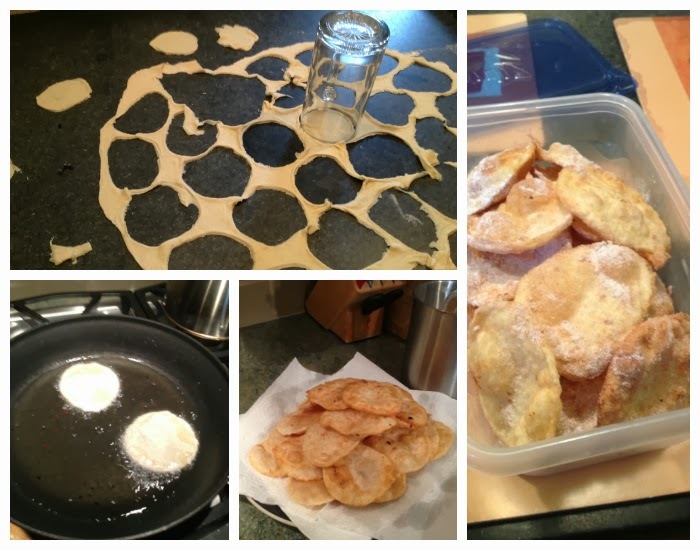 In some Latin American countries, simply frying a tortilla and dosing it with sugar is buñuelo enough. Be prepared for some more cuisine based posts. They are fun, easy to do, and usually quite tasty. Food is something special in all cultures sometimes including the lack thereof. You never hear, “food is not a important part of the culture.” That should show you something. More to come soon about where I’ll be in a few months, next summer, and more tasty confections!